Nanocellulose, due to its nanosize, offers a large surface area with new functionalities. These open a wide range of possible properties, as well as smart applications, in many fields. The growing interest in renewability, biocompatibility, biodegradability, and unsurpassed physical and chemical properties of nanocellulose has resulted in increased academic and industrial interests towards development of nanocellulose-based materials and cellulose nanocomposites. However, there are still some issues to overcome, and the main challenges in the field are related to efficient preparation and isolation of nanosize cellulosic materials from their natural sources. 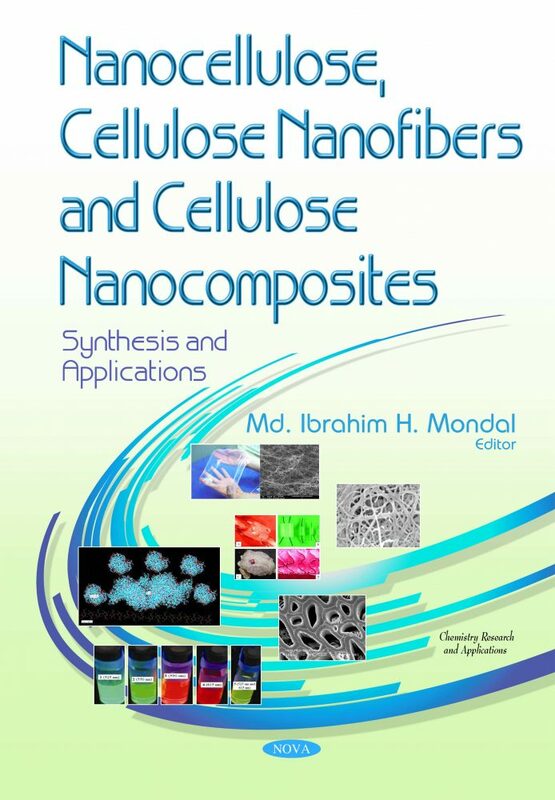 This book reviews some vital issues and topics concerning the latest scientific and technological advances in nanocellulose, cellulose nanofibers and cellulose nanocomposites. Some subjects included are nanocellulose, covering synthesis, characterization and applications of nanocellulose, extraction of nanocellulose from natural sources and synthesis of bacterial nanocellulose for medical applications. Cellulose nanofibers are devoted to advances in production, derivatization and utilization of micro- and nanofibrillated cellulose. Cellulose nanocomposites, covering the production and characterization for smart applications of cellulose-based nanocomposite, cellulose composite-based electrospun nanofibers for high-tech applications and the application of peptide-nanocellulose as a biosensor for human neutrophil elastase are also discussed. This book will provide an essential source of information to readers in the exploration of possible applications of nanocellulose in the above-mentioned fields. Let us hope that it also will help in the generation of new ideas for new applications and product development. A book like this, covering the above-mentioned vital issues and topics, should be useful to chemists, scientists, research scholars, polymer engineers and researchers in the industry.